Everyone loves action movies, the big explosions, the big gun fights, the big hero and the equally big or bigger villains. My favourite one is Commando, with Arnold Schwarzenegger in the lead. There is this one scene near the end when the Governator raids the enemy compound. A 100 henchmen fire at him but nothing touches our hero. Then he just shreds everyone using a machine gun, it’s completely chaos with everyone running, failing miserably at it then getting shot and dying. Imagine what it takes to get into that state of mind; to get that I’m-gonna-kill-everyone-who-looks-at-me feeling inside you. Arnold Schwarzenegger listened to “One Of Us Is The Killer” that day. 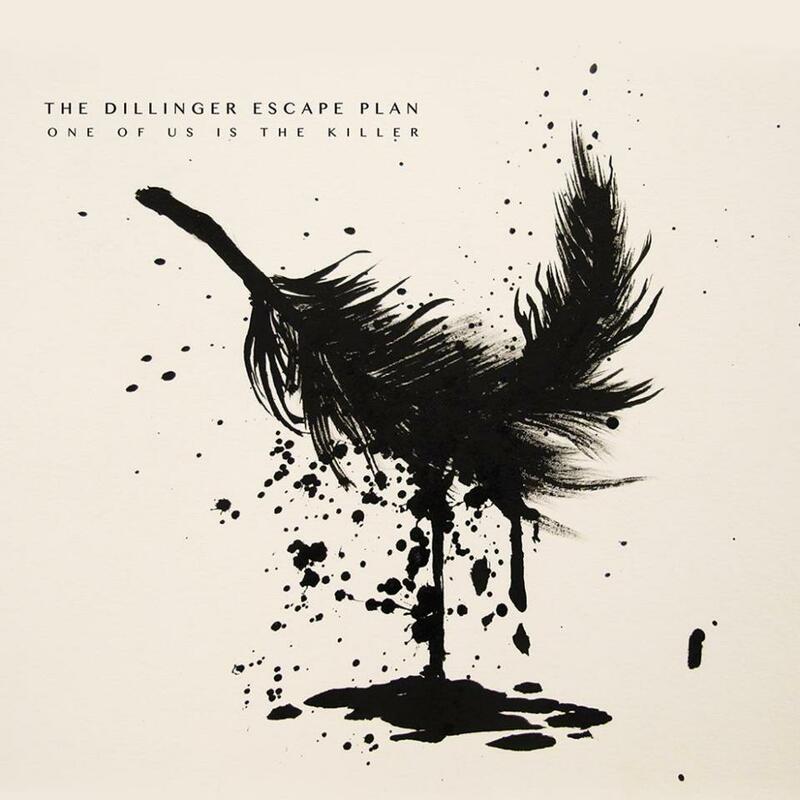 The Dillinger Escape Plan (TDEP) is a band from New Jersey, commonly associated with mathcore and experimental metal, they are known for their high energy and insane live shows. They are no strangers to the metal scene and have been dishing out their unique style of convulsion inducing metal since their debut release in 1999. After releasing 4 albums with the latest “Option Paralysis” released in 2010, they’re back with “One Of Us Is The Killer”. 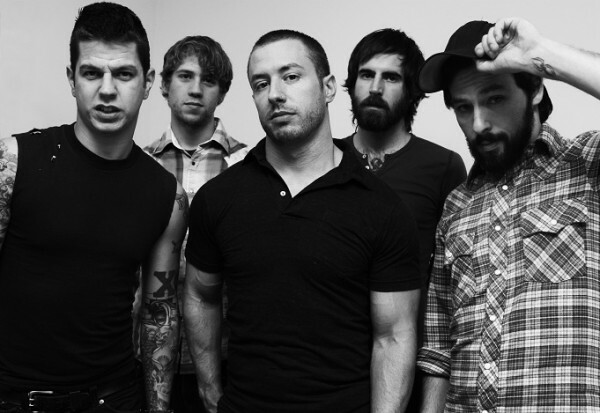 Frantic, sporadic, violent, aggressive; these are the words that come to my mind when I think about the music of TDEP. To a non-fan or any person who doesn’t listen to similar music the music of TDEP is going to sound very confusing. You will find the occasional riff to which you can bang your head but they are few and far between. Most of the signature sound of TDEP is composed of discord, odd time signatures, screaming vocals that are crammed into short songs in violent bursts of music. There is no such thing as solos, there is just ‘weird’. “One Of Us Is The Killer” has the same old Dillinger sound for the most part but they’ve tried to do something new also. The main thing you notice in the album, as compared to the previous ones, is the prominence of clean vocals and vocal harmonies. The title track “One of Us Is the Killer” is almost completely composed of clean vocals and sounds completely different from the rest of the album. Maybe they are hinting at something, who knows. The incorporation of clean vocals begins only after the title track; the tracks before this are classic Dillinger. Looking past all the chaos and madness that this album brings you can’t help but marvel at the technical complexity of the compositions. Once you’ve listened to the album a few times and gotten used to the sound you can hear how intricate each song really is. From the opening guitar chords of “Prancer” to the sound effects in “Paranoia Shields”, each song has something that makes it unique. The changes in tempo, the weird time signatures, these will cause seizures of pleasure in any prog-head. On the production end everything is excellent. With so much going on, producer Steve Evetts has done a good job of keeping everything neat and crisp. After listening to the music I don’t think he had it easy with this album. Guitarist Ben Weinman is in top form, his guitar work is very good with his high pitched chords tearing the eardrums of unsuspecting listeners. Greg Puciato on vocals has pushed his abilities by screaming his lungs out and singing his heart out. Liam Wilson on bass provides good variation in the underbelly to complement the screaming guitars. Billy Rymer on drums is perfect; matching those insane guitars in both intensity and complexity is not easy. “One Of Us Is The Killer” is one hell of an album and may be some of their best work till date. The use of clean vocals seems to show a change in the approach to how they write songs. I hope they continue this trend as I quite enjoyed it. Stand out tracks include “Prancer”, “One Of Us Is The Killer”, “Paranoia Shields” and “Nothing’s Funny”. I personally wasn’t too keen on “Hero of the Soviet Union”. This is an album you should listen to get pumped up for a fight or a game, because the music will make you want to punch someone in the face with a fist full of broken glass. A word of warning before I end the review: turn down the volume before you start the album or you might enter a state of auditory shock just as I did due to the opening chords of “Prancer”.